Stores 28 or 56 dominoes in a very attractive oak box. Features a portal for peg storage. Comes with a magnetic catch. Pocket hinge construction. Comes with a set of quality metal pegs. 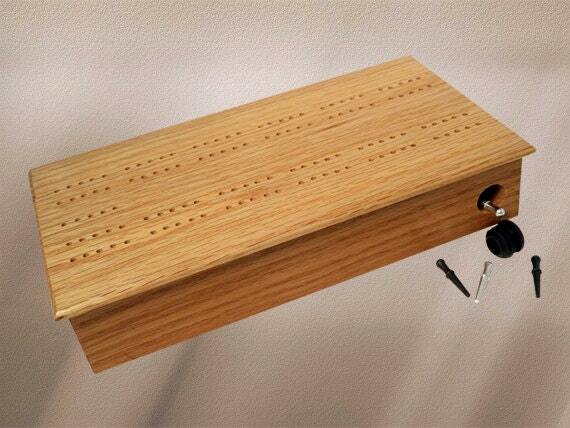 You'll love the craftsmanship and the versatility of scoring dominoes or a cribbage game right on the box top. 100% handmade in the U.S.A.
Includes a 28 or 56 count set of dominos. 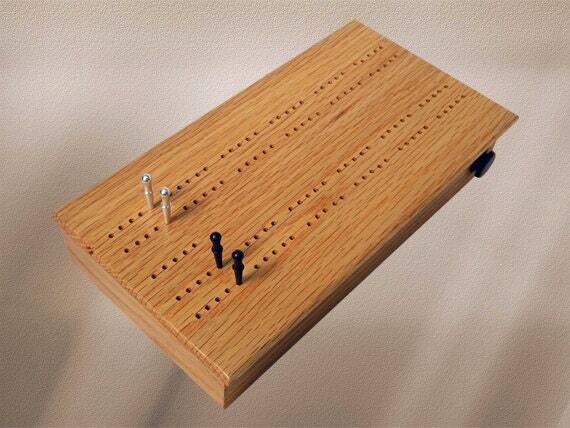 paperless- dominos score keeping using the cribbage board set of pegs and holes (rounded off in multiples of 5). 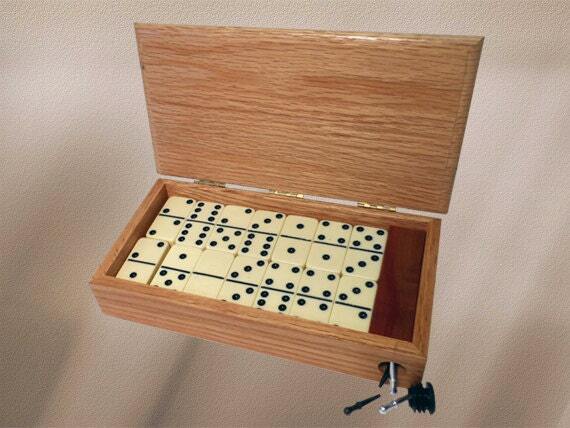 Of course you can play Mexican Train or Cribbage from this attractive box. We are also able to emboss a coin-like inlay featuring your slogan or the name of your choosing up to 20 letters or numbers. Request a custom order to have something made for you.